In the run to the Brasil Festival Amsterdam Dutch NGO Caramundo organized an expert meeting on urban art. It’s a kick off to the new R.U.A (Reflexo on Urban Art) project taking place in Amsterdam next month and a follow up of the R.U.A. project in Rotterdam in 2009. In this project Brazilian street artists/grafiteiros came to the Netherlands and painted several walls of big buildings in Rotterdam, showing the Dutch a little of the Brazilian street art culture. The R.U.A. (rua means ‘street’ in Portuguese) project is an exchange initiative to introduce Brazilian grafiteiros to Dutch street artists and encourage them to learn from each other and to collaborate. Brazil is renown for its lively and vibrant street art culture and the government has a relatively open attitude towards graffiti for the decoration of public spaces and as a form of ‘public art’. Regina Monteiro, the director of SP Urbanism, sector of urban planning in São Paulo, tells us about the law Lei Cidade Limpa she introduced in the city of São Paulo. 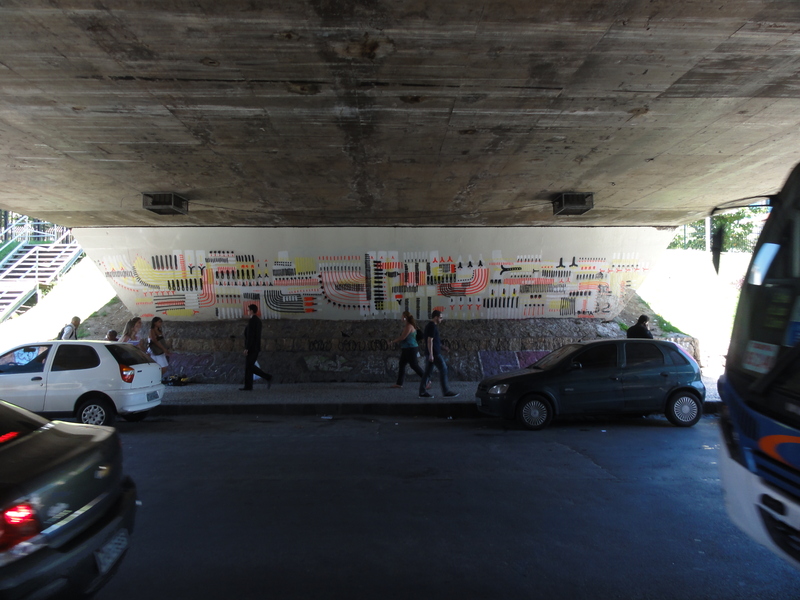 The law prohibits billboard marketing in the city, which means that São Paulo is now a paradise for mural art and graffiti and radically changing the visual landscape of the city. 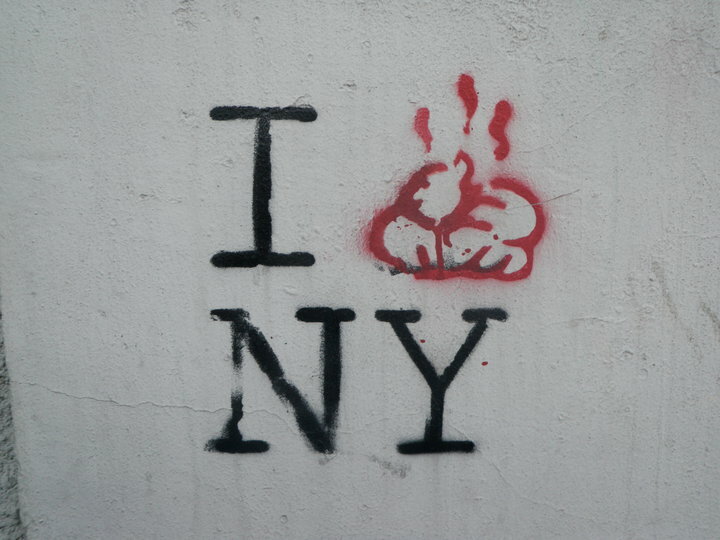 A discursive distinction, however, is made between ‘street art’ and ‘pixação’ (tagging, scratched text). German researcher Matze Jung from the Berlin based Archiv der Jugendkulturen presents his research on graffiti in Rio de Janeiro from a geographical point of view. 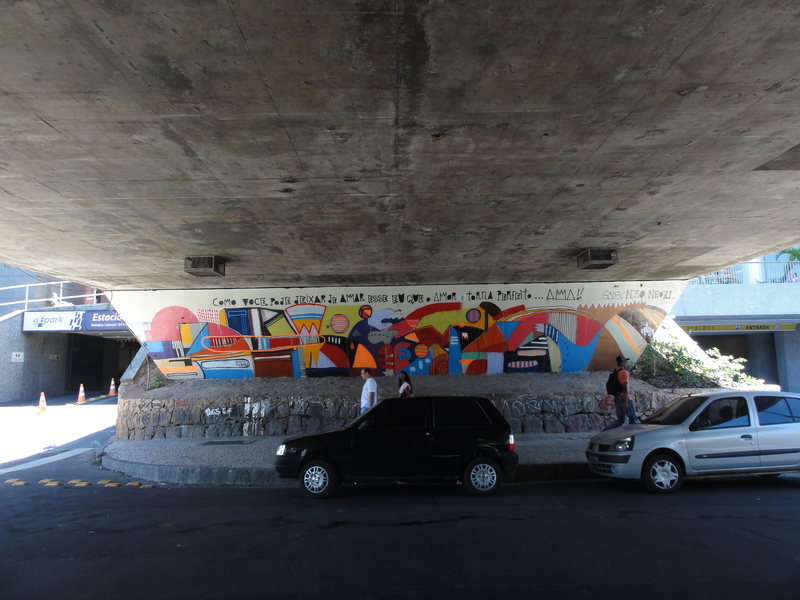 Whereas graffiti is seen as urban beautification, artistic expression and even, he argues, as the ‘voice of the favela’ (even though, in my opinion, most graffiti artists are middle class creatives and activists), the pixação is seen as an urban plague and optical pollution. Street artist Gais from Rio de Janeiro argues that graffiti should be seen as an improvement of public space for the pleasure of the audience, thus pleasing others, while tagging is as a rather egocentric act writing down your name. However, some argue that the pixação is more than a pointless act of writing down one’s name. Rio de Janeiro architect Ludmila Rodrigues touched upon how pixação can also be seen as a struggle over space, or power, as they can often be found at the most inaccessible places, like high buildings. In this way, pixação serves another ‘function’ than street art, but I think it should therefore not be regarded as ‘vandalism’. Whereas graffiti can serve a political function, pixação in many ways does too. Contrary to Brazil’s progressive policies, in the Netherlands graffiti is prohibited and the word itself carries a very negative connotation. An artist in the audience comments that when she asks permission for a graffiti project the answer is always ‘no’. But when she describes the same project as a mural project it will often be accepted. Murals are art, graffti is vandalism. But can the two really be separated? That question is subject to a heated discussion. Several comments and examples are coming from the audiences, varying from The Hague policy, where artists can subscribe at a ‘street art agency’ that calls these artists when there will be a mural project in the city. In Delft is a tunnel open for artists to paint, similar to a fence/wall in Amsterdam Oost. In addition, a student in the audience briefly presents his bachelor thesis on street art, in which he proposes a solution to the ‘polluting graffiti’ by fining tagging and rewarding ‘beautiful artworks’ with a grant, or subsidy thus stimulating ‘beautiful graffiti’. Several artists from the audience react indignantly: You cannot distinguish between the two! Who is to decide what art is ‘beautiful’ and what is ‘ugly’? Where lies the boundary? And besides, for someone to become a good artist, he needs to experiment and train himself. A mural doesn’t emerge spontaneously! A Dutch street artist and founder of the Amsterdam Street Art Foundation Jarno (anecdotally though with a sense of irony he explains that since he founded his Foundation, people, and especially the municipality, takes him much more seriously being art director of a foundation instead of a ‘mere’ street artist). He explains that for him, and many graffiti painters with him, the drive to tag is uncontrollable. It’s something he needs to do. Therefore, it’s totally different from graffiti art, but just as important. However, he does recognize the transforming potential of graffiti art. It can totally recover a degraded area; improving the view and the atmosphere. But still, Dutch policy doesn’t facilitate painting. As Angelo Bromet, the initiator of Hotspot Heesterveld, notes: Dutch policy makers adore the Favela Painting project by Haas & Hahn in Rio, but only as long as it stays there. They don’t want it in Amsterdam Southeast. Matze then adds to the discussion on pixação vs graffiti art that we might not only want to look at the outcome of street art. The painting is a creative experience and learning process and therefore, any form of painting is valuable. In this regard, I think that precisely the struggle over space and places to paint is part of this, as a struggle over voice and personal and artistic space. Another comment comes from Onno Vlaanderen, experienced as a former member of the amenities committee of the municipality of Amsterdam, who argues that as an artist you are always bending and stretching the rules and laws, see how far you can go. Isn’t that what art is? An experiment? Here we find a major difference between Brazil and the Netherlands: the space the artist experiences to paint. Ludmila, currently living in the Netherlands for her studies, has noticed that the cities of the Netherlands (and Europe) are much more controlled than Brazilian cities. Vigilance, increased security, strict policies, bureaucracy, and so on, hamper painting in many ways. Note how in the video above, when interviewing the artists in Rotterdam, police men constantly walk by. Also, the rapid privatization of public spaces calls for new ways in which graffiti art can occur in the city. There is a long way to go for Dutch street artists to ‘take over the streets’. But is it desirable to open up the dialogue with the government? Shouldn’t street art stay away from bureaucracy and remain ‘underground’ and spontaneous, and uncontrolled? Anouk Pipet from Caramundo explains how they realized the spaces in Rotterdam in 2009 by lobbying and negotiating with the owners of particular buildings. Most of the artworks are still there today, as the public enjoyed it and wanted the paintings to stay. The debate by far exceeded the time and still, two hours of discussion wasn’t enough even to define what street art includes, let alone what policies should exist. The R.U.A. project in Amsterdam next month will at least provide new thought for artist and policy makers, demonstrating some more Brazilian creativity on the antique Dutch walls of the Westergasterrein. 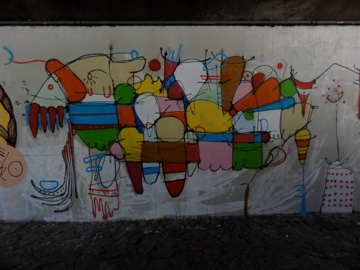 Graffiti / street art in Rio – commissioned by the municipality. Usually NGOs working with art projects or graffiti artists paint these walls. It looks really nice and I like the way in which this form of art is used to liven up the street view. Brazil has a very rich graffiti scene especially in São Paulo and Rio. NGOs and social inclusion projects respond to this tradition offering graffiti courses and workshops, especially for the less privileged. Intersting is the fact that in the poorest neighbourhoods you don’t see much graffiti. 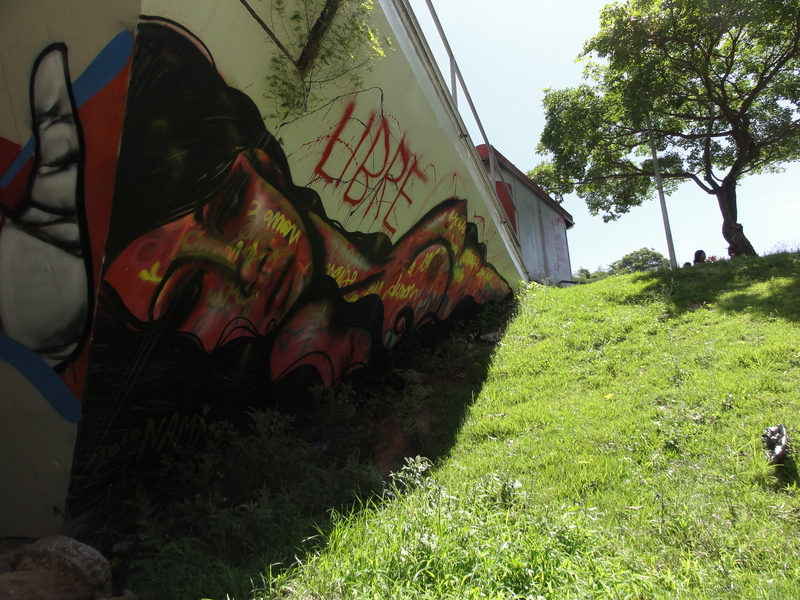 I asked an artist living in Complexo do Alemão why there isn’t much graffiti in their community. “People have other things on their mind than painting walls. They need money to eat.” Also, once regulated and stimulated by the government and NGOs, an interesting discussion is what this means for the socio-political (and underground) character of graffiti. However, the popularity of graffiti by NGOs and social projects doesn’t counter the fact that in general the Brazilian street art/graffiti scene is very inspiring and rich (and political).